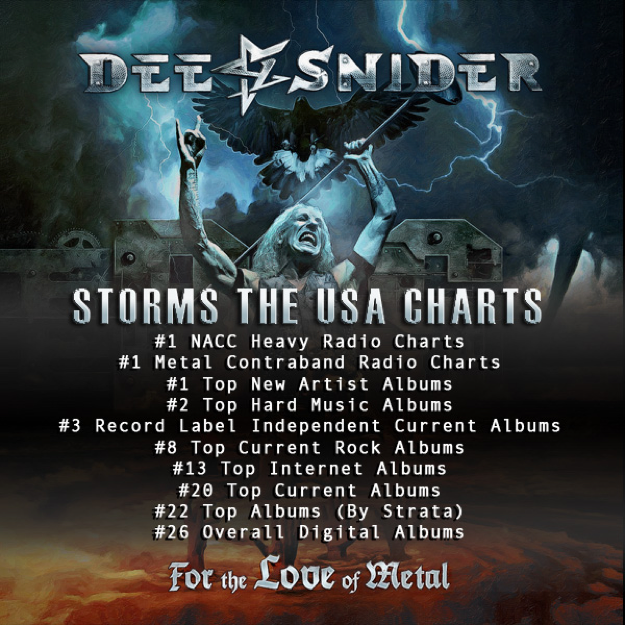 Home›News Releases›Band & Musician NR›DEE SNIDER - Storms Worldwide Charts with For The Love Of Metal! 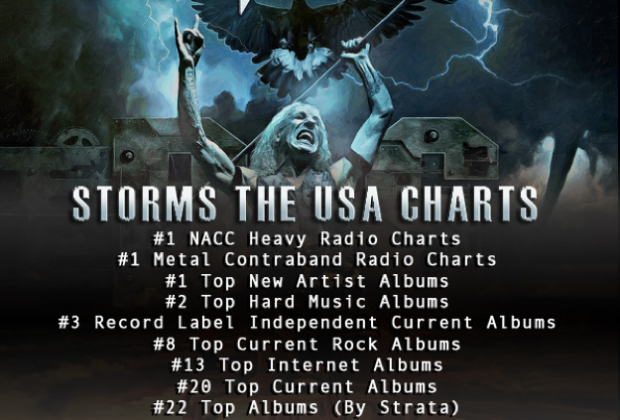 DEE SNIDER - Storms Worldwide Charts with For The Love Of Metal! Dee Snider's For The Love Of Metal, released on July 27 via Napalm Records, garnered high chart positions worldwide! "He is the quintessential metal frontman and commands respect as such." "Jamey Jasta is an adept producer and absolutely succeeds in restoring Snider to his previously known Metal God status." "...hands down and horns up, the metal album of the year so far." "I haven't headbanged this much in a long time and I loved it. This is an exceptional album that fans of any genre should pick up. It has everything - great riffs, killer drums, heavy bass, and one of the greatest vocalists of all time." "For The Love Of Metal is a sanctuary of crushing Heavy Metal ecstasy, proving Snider's immortal staying power and lust for the greatest music genre mankind has ever seen." "A blisteringly heavy, catchy and contemporary metal record which, largely due to his performance, also manages to capture the dirty, raw energy of early 1980s Twisted Sister." "Dee Snider's love of metal is real and timeless." 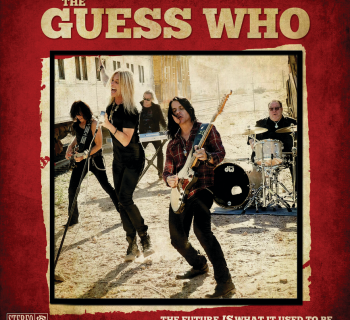 "It is heavy, infectious and full of energy from start to finish and Dee Snider definitely has plenty of gas left in the tank." 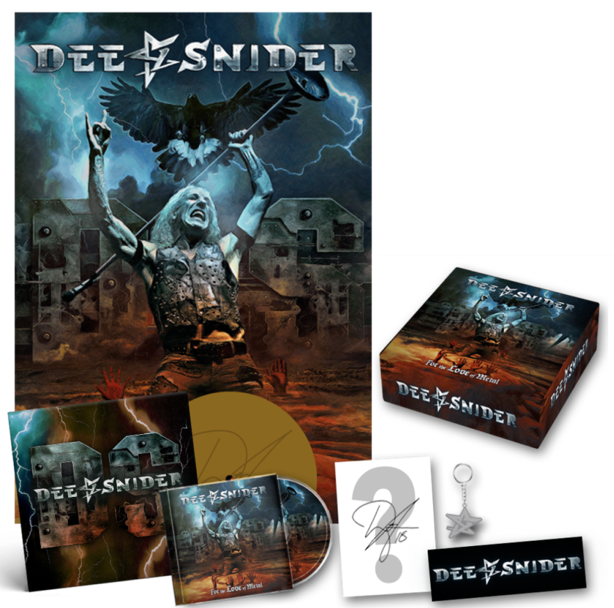 "Dee Snider's For The Love of Metal shows that the mastermind is back with a vengeance. The new album brings him back as the beast is still reigning terror." 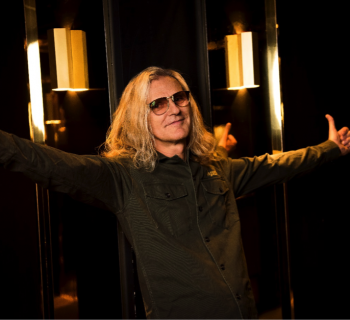 "Dee seemingly lets go of his considerable '80s legacy, saying he doesn't need it because he's got today well in hand." Watch the video for the latest single"I Am The Hurricane" HERE! Watch DEE SNIDER's Official Music Video for "Become The Storm" HERE! Watch the Lyric Video for "Tomorrow's No Concern" HERE! Watch DEE SNIDER's video statement on For The Love Of Metal right HERE!